Can one machine sew hexies? Thread: Can one machine sew hexies? Has anyone done these on a machine? That's exactly how I did mine..with tiny zigzag... 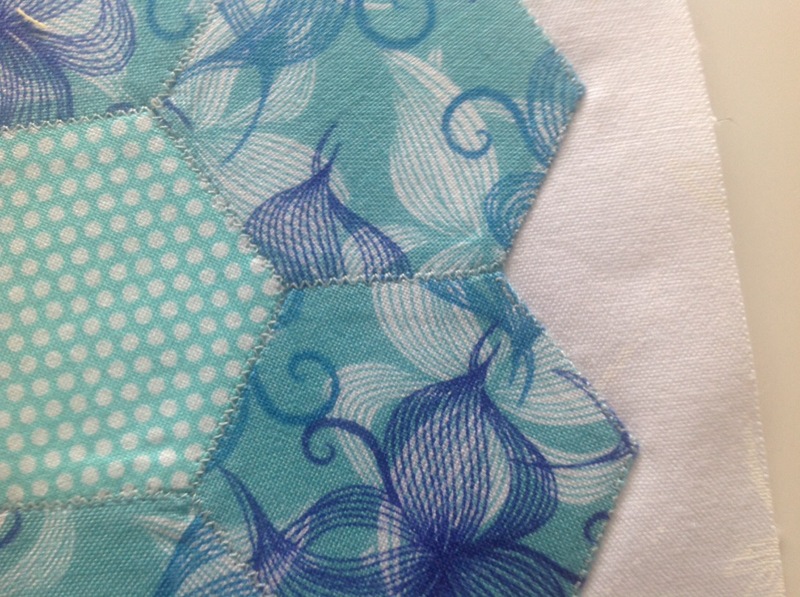 Here is a block and closeup shot... Used matching thread color and can barely see it. You could also use Monopoly invisible thread. Absolutely. I did mine with 1/4" seams & found it very therapeutic after getting used to those set-in points. Also found one doesn't have to stitch right to the points, and it leaves a bit of play when pressing the seams. 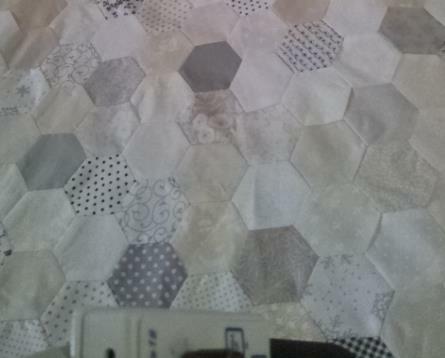 My hexies were 2" from side to side, but next time they will be bigger, as I thought I'd never finish. Last edited by Gay; 05-17-2018 at 08:44 PM. I agree that's a fine look ..and definitely is NOT cheating..it lends a bit of interest and looks intentional. 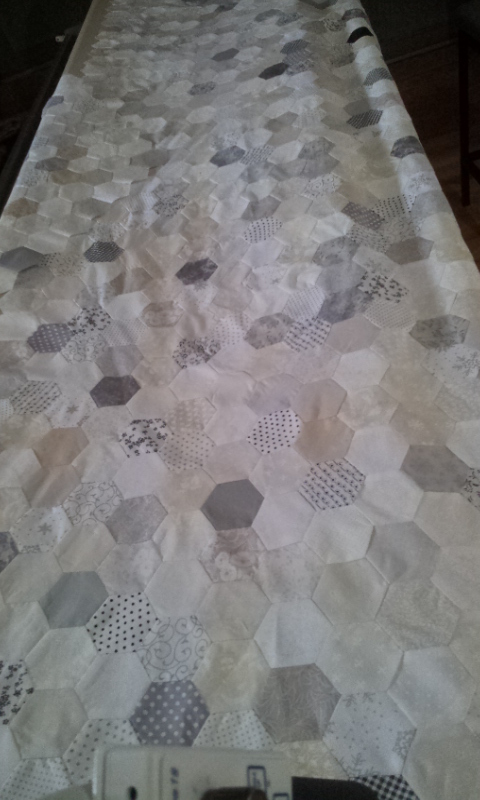 Gay, I love your neutral hexie quilt!! its completely charming in a modern way! It would depend on the look you are after. Do a sample with the zig zag. If you are happy with it, go for it. 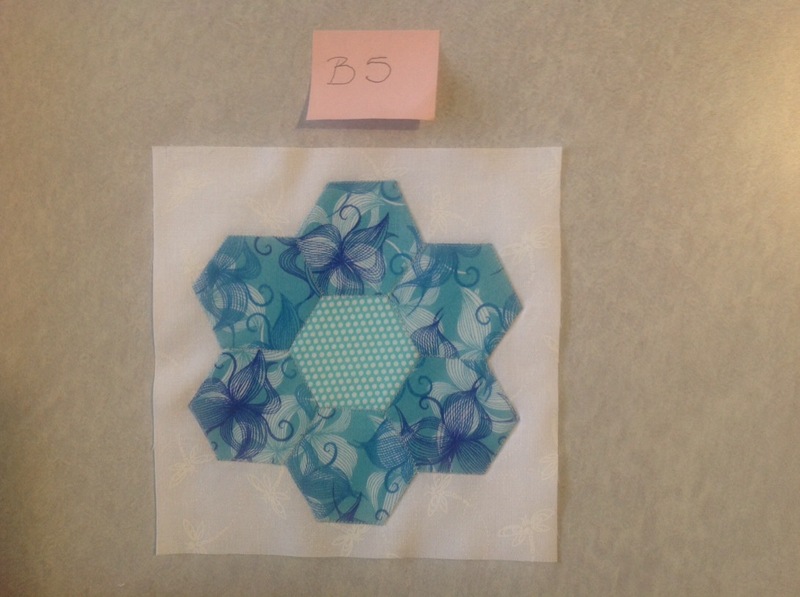 Google "machine sewing hexagon quilt blocks" I watched a few videos. There were more. Years ago Kaye Wood used to join hexies by machine, but can't remember her method. Maybe you could do a search on it? You know, they can also be machine-sewn together just as other pieced blocks are -- right sides together, 1/4" seam, straight stitching. This is easier to do the bigger the hexies are. You do have to adjust and turn corners at intersections, but it's not too hard to do if the pieces are big enough. I tried whip stitching hexies together years ago and decided it was not for me. For one thing, the repetitive motions required for whip stitching were hard on my hands. For another, I just could not see why so many tiny stitches (which are also visible) would be better than hand sewing the pieces together. 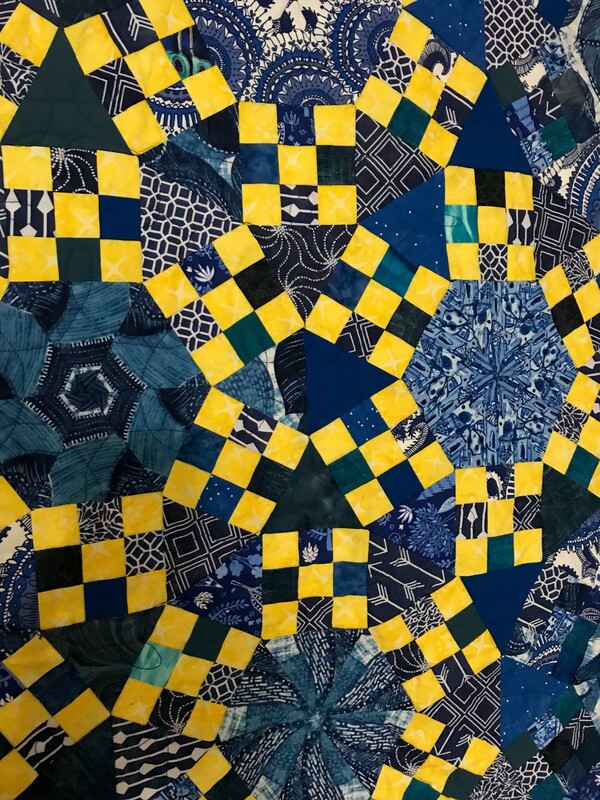 I ended up hand piecing small hexies (the way one would hand piece any quilt block) and was much happier with that method, especially after watching a Jinny Beyer video where she demonstrated how she does it. Teen, yours look amazing......what stitch length and width did you use? I did 2 small projects by hand and though I love the look I knew there had to be a easier way. I have handstitched them without basting with papers. I hold two together and and stitch a 1/4 seam. I start 1/4 from the end and stop 1/4 from the end. I haven't done all hexes, but I did a Jack's chain which is hex, triangle and square with entirely set in seams. Each shape finished at 3" on a side. I machine sewed each seam and left a generous 1/4" unsewn at the beginning and end of each seam, just as if I was hand sewing. I wouldn't have wanted to do it with hexies that were smaller than 2" on a side. Years ago, I made a template and punched holes in the corners. Then, I put a dot in that corner. Next, I sewed the hexies from dot to dot. They fitted together just fine. Great look. And a great time saver, too. Well done ladies.